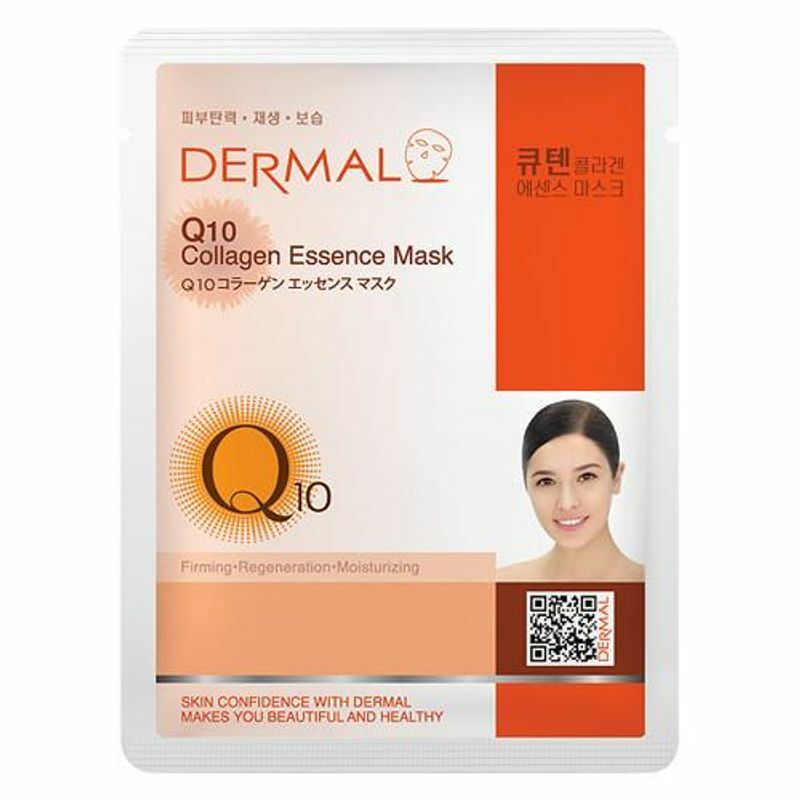 The Co-Enzyme Q10 Dermal collagen essence face mask contains Co enzyme which is effective for keeping skin anti wrinkle and prevents skin from aging. Coenzyme Q10 is called ubiquinone . It promotes cell's activity and it removes active oxygen in our body. It lives in the cell of our body and it promotes cell's activity. It is one of the factors that removes poisonous substance living in the cell. Thus if you keep providing skin with Coenzyme Q10, it promotes cell's activity and it prevents your skin aging earlier and keeps the skin soft and healthy.